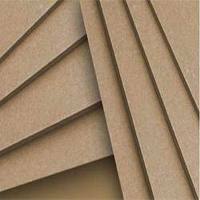 Leveraging on our industrial experience and robust infrastructure facility, our company has been able to manufacture a wide range of pre-compressed press boards that are manufactured from 100% pure sulphate Kraft wood pulp. These pre-compressed press boards are available in standards Width length of 1000 x 2000mm, these pre-compressed press boards are widely used in transformers. These are manufactured as per IEC 60641 standards to ensure superior quality of the boards.